Angie Castille co-leads the firm’s corporate international practice, focusing on international and cross-border transactions. Angie counsels public and private companies, partnerships, joint ventures, offshore companies and other business entities on international transactions and general business matters, including share and asset acquisitions, establishment of joint ventures and foreign subsidiaries, contract manufacturing, licensing transactions, distribution and sales representative agreements. 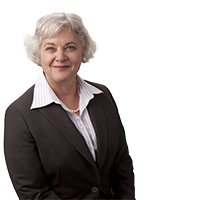 Angie also counsels clients on compliance with trade regulations, including product classifications, licensing and voluntary self-disclosures with BIS, OFAC and DDTC as well as the implementation of global compliance programs. Angie co-chairs FaegreBD’s firmwide international team, a cross-disciplinary group of lawyers and consultants who advise clients on international legal and regulatory issues.